Come thru shine, come thru radiance. 1. Caudalie Beauty Elixir for when you want to freshen up and hydrate dry skin on-the-go. A beauty spritz that you can use as a base for your makeup or just to give your complexion a burst of radiance. Promising review: "This product is awesome! I have bought several similar "mist" "hydrating" "spray any time" products and this is the only one that works at any time. It helps prep skin for moisturizer, smells AMAZING and does not mess up makeup if you use it throughout the day. I do go through it fairly quickly but it is still very much worth the price!" —B. Get it from Amazon for $14–$37. 2. 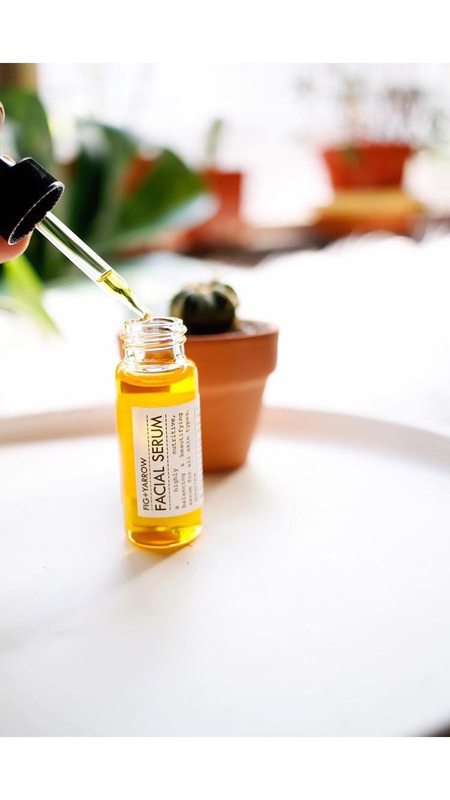 Pai Rosehip BioRegenerate Serum which is made primarily with rose hip oil and aims to reduce fine lines, scars, and sun damage. 3. Fig & Yarrow Facial Serum for an all-over serum that will nourish your face, neck, and that area you've probably never paid much attention to called your décolleté. This serum's ingredient lineup includes rose hip oil, jojoba oil, sandalwood, carrot seed oil, and vetiver — just to name a few! 4. Mad Hippie Vitamin C Serum for when you want that sun-kissed lewk but the easy and convenient way. Promising review: "I was skeptical of the serum. Not because it's natural but because my skin is SO sensitive. This serum doesn't burn or irritate. For about a week I used it only at night so my skin could acclimate. It definitely makes my face bright, even and my mild acne is better. I don't have wrinkles so I can't speak to that, but I will repurchase." —Daisy M.
5. Pixie Glow Tonic for a toner that stimulates cell renewal to rid your skin of dead skin cells in favor of an enviable glow. Some of the ingredients include: ginseng, which helps to improves circulation, and aloe vera, which soothes and hydrates. Get it from Amazon for $37. 6. Acure Seriously Glowing Facial Serum Oil, which has all the antioxidants and organic ingredients ideal for plumping up normal to dry skin types. The serum packs in three powerhouse ingredients including organic argan oil (restores moisture to the skin’s lipid layer), borage oil (to soothe), and cranberry (works to neutralize free radicals for glowing skin). Promising review: "I've been using this product day and night after toner before moisturizer (as you would use any serum) and I am really impressed. I have combination 30-year-old skin and live in a VERY dry climate so moisturizer is important to me! I really like that it has a thicker consistency than a "dry oil," which I generally don't like. It leaves a nice sheen behind, which is what I look for in an oil serum. I have even found that it mixes nicely with drop foundation without separating on the skin. I would recommend this product to anyone who is looking for that glow that leaves behind a dewy sheen or anyone looking for a nighttime oil serum." 7. Tata Harper Resurfacing Mask is similar to your traditional face peel but replacing the irritant ingredients with soothing ones to help improve the texture and appearance of your skin. Consider this mask your quick pick-me-up for an instant glow. Get it from Amazon for $58.00. 8. Laneige Water Sleeping Mask for the lazy folks with tired skin looking to multitask and achieve *the* glow as they snooze. 9. Neutrogena Water Boost Gel for the benefits of hyaluronic acid, the star ingredient that can absorb hella moisture and water. According to one reviewer, it's apparently cheaper on Amazon than at Walmart. It's also oil-free, non-comedogenic (no clogged pores here! ), and dye-free; so it's pretty much suitable for all skin types. 10. 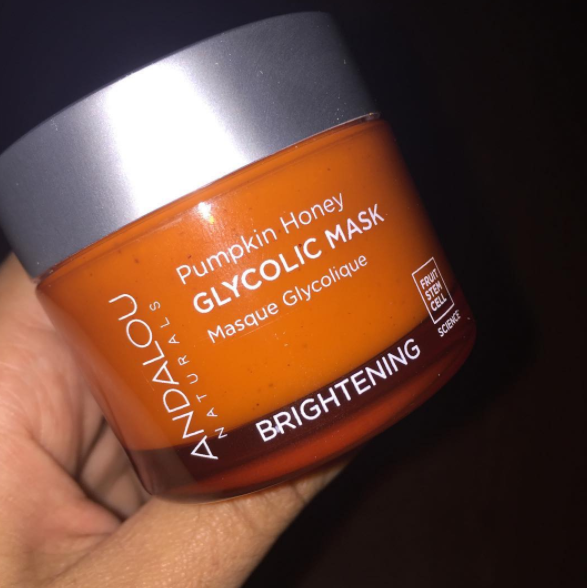 Andalou Naturals Pumpkin Honey Glycolic Mask for when you want to leap into fall with your best glow forward while smelling like pumpkins but looking like honey. 11. Cosrx Low pH Good Morning Gel Cleanser to help you multitask since it's a cleanser and exfoliator in one — bye, bye rough skin and hellooooo soft baby skin. 12. Elizavecca Milky Piggy Carbonated Bubble Clay Mask contains mud and charcoal to help don your best ~I like spas~ look from the comfort of your couch. 13. Bee Friendly SK Raw Honey Facial Mask is crafted in Hawaii by holistic beekeepers with all-natural ingredients so some sort of glow result is a given. 14. Eau Thermale Avène Thermal Spring Water is more than just water — it's ~European~ water and has over 1,000 reviews on Amazon. Get it on Amazon in three different sizes ranging from $9 to $18.50. 15. Teddie's Organic Golden Jojoba Oil for a multipurpose skin moisturizer that helps nourish dry skin, promote elasticity, and treat scarring and acne the ~au naturel~ way. In case you're looking for an all-in-one product, jojoba oil is also fantastic as a makeup remover and natural hair conditioner. True story. Promising review: Great product! I'm an aesthetician and can't say enough about this product! I use it as an all-over moisturizer on damp skin and add it over my regular facial moisturizer for extra hydration and my skin is glowing. Get if from Amazon for $14.00. 16. Herbivore Botanicals Blue Tansy Mask for a clay-based mask that's gentle enough for all skin types and made of all-natural ingredients to help you fight the good skin fight that is acne. 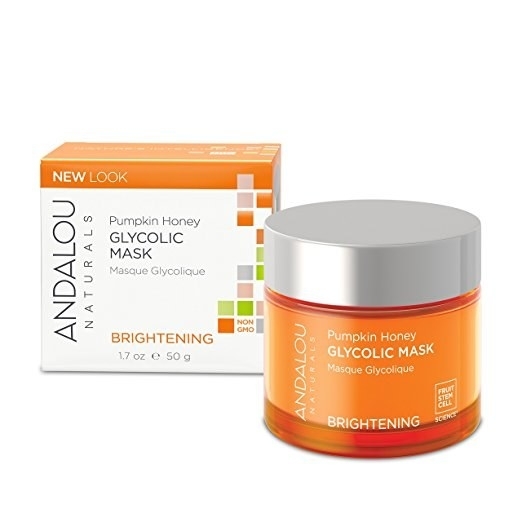 Add this feel-good mask into your routine to help reduces redness, soothes skin, unclog pores, and renew complexion. Get it from Amazon for $48.00. 17. GLAMGLOW Youthmud Tinglexfoliate Treatment was originally created to help the celebs up their on-camera glow but now everyone has caught on to this magic exfoliant-mask hybrid. Get it from Amazon for $42.47. Note: Customer reviews have been edited for length and/or clarity.